In the development of a show, movie, game, TV series, etc, everything, from characters, settings, stages (more etc. ), changes rapidly. Characters become other characters, different plots fuse and split or are destroyed. Eventually, you get the finished product, but the developers aren't going to forget the past. Usually, developers (who are known for their senses of humor, except when they aren't...) will put in a little thing or two that alludes back to something that happened in development, so they can all have a good laugh about it. An inside joke to the greatest measure, unless the viewer/player has been given a Beta that includes what the joke is about, they'll probably never going to know what the joke is about, or even if it's supposed to be funny. Can be anything from a previous character design to a joke about one of the developers, but you'll probably never know. See Call Back for references to things that actually appear in the plot, Production Throwback for development on prior works, and Mythology Gag for references to things that happen in alternate adaptations. When the backstory behind these gags are explained, that's an example of What Could Have Been, given by Word of God. The dub of Fullmetal Alchemist has the voice Travis Willingham used for Mustang's "I love dogs!" line, which is based on the voice he used when trying out as Major Armstrong; he even refers to the voice as "Armstang". Recently in Naruto a character is introduced named Sabu, who possesses a giant axe and has a giant raccoon dog named Ponta for a pet. Both of these things are references to a character named Kintaro, who also possessed a giant axe and a giant raccoon dog named Pochi, who was replaced by Zabuza and Haku as the main villain of the Land of Waves arc. Magic: The Gathering has loads of these. Amongst the notable ones are Telim'Tor, whose name is an anagram of his playtest/development name, Mr Toilet; and Sol Grail, whose name is an anagram of Gorillas, which were the playtest/development race for every creature in Alliances. Maro was submitted to the development file for Mirage with its creator's username (MaRo for Mark Rosewater) for the database instead of a placeholder name. No-one noticed the mistake until the Creative department had already commissioned the art, so it stayed. Look closely at the artwork for Flame Wave. Sure it seems self-explanatory (a massive tidal wave of fire), but among the people getting swept up in the fire is...a guy on a surfboard. Not exactly a joke, but Invincible later introduced a character called Bulletproof who used Invincible's initial name and costume. In-story, the costume was even developed for Invincible but rejected. In the final storyline of DC Comics Hourman title (the one about the "diamond generation intelligent machine colony from the 853rd century, DNA-programmed with Miraclo gene biosoftware") he was confronted with a further-future version of himself, who was much better at both being a hero and being a person than him ( it turned out to be Amazo). The design for the future Hourman was identical to an early design seen in the Hourman sketchbook given away with Wizard when the title began. The Black Panther's son in the Marvel Comics 2 alternate future. An alternate universe version of T'Challa himself, who appeared in The Avengers vol 1 #355 as a member of the Gatherers, a group of former Avengers from different universes. This version had a costume based on a Jack Kirby design for a new costume for the Black Panther that only ever appeared in a pin-up. A Coal Tiger is mentioned in Captain America (comics) vol 1 #389 as an opponent of the Zambian villainess Impala. In Black Panther vol 3 #60, the Coal Tigers are mentioned as being a rank in the Panther Cult. The working name for the Dinobot Swoop was Divebomb. The Transformers Marvel UK comics told that was his name back in Cybertron. Some time later, when Hasbro coincidentally made a Decepticon named Divebomb as part of the Predacons, the comics explained that Swoop lost his name to him after a defeat. The title of DC's Reign of the Supermen event which tied into The Death of Superman event is a reference to Reign of the Superman which featured the first Superman character Siegel and Schuster developed. The commentary for Atlantis: The Lost Empire tells a story about how there used to be a mystic named Zoltan (who used to speak in the third person, for some reason) along for the ride. At one point everybody sounds off after falling down a hole. For the longest time he was still there shouting "Zoltan is okay!" even after his character had been written out of the script. Near the end of Beauty and the Beast, while the enchanted furniture are fighting off the villagers, a music box can be seen among said furniture. That music box was originally going to be Belle's sidekick. Near the very beginning of The Rescuers, Madame Medusa can actually be seen driving a large red sports car to New York City Airport, not unlike the one driven by Cruella DeVil. Originally, the villain of The Rescuers was actually indeed going to be Cruella DeVil! And that car not only looks like Cruella's, but as a matter of fact, that car is Cruella's. In Toy Story 3, there is a bumper sticker on Andy Davis' drawer labelled "Newt Xing", a possible reference to the cancelled Pixar film Newt. At one point in Cloudy with a Chance of Meatballs' development, Flint was trying to get into the Science League, headed by Vance LaFleur. You can still see a poster for the League in his room and lab. One of the drawings during the end credits of Tangled shows Rapunzel and Flynn consulting a fortune-telling monkey, in reference to a deleted scene in which Rapunzel and Flynn escape some guards with the help of a gypsy and her pet monkey. A lot of names from the early, unused drafts of Star Wars continue to pop up in newer works. "Starkiller", Luke's original surname, shows up a lot, and Mace Windu's name can be traced back to "Mace Windy" from the first treatment. Similarly, the planet "Utapau", which was originally a blue planet with many moons mentioned in the first draft of "The Star Wars", then became the preliminary name for Tatooine, then the preliminary name for Naboo, and finally appeared in Episode III as a green planet with many moons and dotted with sinkholes. Other names that can be traced back to previous drafts, where they were used in different contexts, include "Valorum", "Sith", "Clieg" (Cliegg), "Whitsun" (Whitesun), "Bail", "Antilles", "Ogana" (Organa), "Dai Noga" (Dianoga), "Grande Mouff Tarkin" (Grand Moff Tarkin)... even "Annikin" (Anakin). In Aliens, Hudson teases Vasquez by saying "When they said 'Alien', she thought they said 'Illegal Alien' and signed up." Vasquez' actress actually did make that mistake, and showed up to the auditions dressed as a migrant worker. The same joke bled in to an episode of Mad About You, where someone asks Paul Reiser's character if he had ever seen the movie "Illegal Alien". In the film adaptation of The Flintstones, Fred is accidentally referred to as Mr. Flagstone. The original name for the show was The Flagstones. This example might actually be an urban legend: The Enterprise XCV-330, first seen in the recreation room in Star Trek: The Motion Picture, is often claimed to be based upon a rejected design by Matt Jefferies for the NCC-1701. But there is evidence that Jefferies actually might have designed it at some time after the end of TOS, for another Roddenberry-project which never did come into fruition. Possibly related: the "Jefferies tubes" that Star Trek characters crawl around in to whenever they need to get into the real guts of their ships may be a nod to his last name and role in ship design for the series. The Indiana Jones films have famously gone through a lot of work before getting to what we saw in theatres. For example, an early version of The Last Crusade was set predominantly in a haunted castle, which is reference with Brunwald castle (in which Henry Jones Sr is held captive) and an early title for Indiana Jones and the Kingdom of the Crystal Skull was Indiana Jones and the Saucermen from Mars - Indy dismisses the crystal skulls as belonging to "Saucermen from Mars" when he is interrogated by Irina in the tent. In Back to The Future Part II, Biff is listening to Perry Como's "Papa Loves Mambo" on the radio while driving to the dance. Word of God explained in the DVD commentary that they almost used "Papa Loves Mambo" in Part I for the "Mister Sandman" Sequence, but ended up using "Mr. Sandman" instead. They stuck the Perry Como song into Part II as their way of referencing this little inside joke. The 2005 version of Pride and Prejudice has an unusual one. It's not a movie development gag but a book development gag. Early in the movie, Elizabeth is seen reading a book titled "First Impressions." "First Impressions" was the original title Jane Austen gave "Pride and Prejudice." Also, when the pages of the book are shown, it's revealed that Elizabeth is reading hte last chapter of "Pride and Prejudice" with the characters' names changed. I Am Legend includes a development gag to another movie - a giant poster in Times Square has a Batman-Superman logo. Screenwriter Akiva Goldsman was hired to write a Batman vs Superman film before it fell through. As an extra added joke, the logo was later used for Batman v Superman: Dawn of Justice. The Xanth character Jenny Elf is based on a real life reader, who was given the choice of being an elf or an ogre in the books. The ogre she could have been later showed up, jealous at having missed her shot at becoming a main character. When Joel Surnow first got the idea for 24, all he really knew was that he wanted to take place within a 24-hour timespan. His first idea was to do a show about planning for a wedding, and all of the crazy hijinks that happen in the 24 hours before it. Fittingly, the first part of Day 2 is about a family getting ready for a wedding. An important character in Eko's last flashback episode on Lost is named Emeka. Emeka was originally Eko's name during casting of the role, and numerous magazines reported it as his name when the actor was cast. It was changed to Eko shortly before filming began. Very obscure but... the Gallifreyan writing (inside hexagons) seen in the new series of Doctor Who resembles the strange abstract hexagonal design made by Susan, the Doctor's grand-daughter, in an un-aired pilot for Doctor Who. In the new series, the season 4 premier "Partners in Crime" featured a character named Penny Carter. Penny Carter was the name of the original companion for Season 4. However, Catherine Tate, who had previously appeared as Donna Noble in "The Runaway Bride," had such a great time, she asked if she could come back. So, Penny was written out and Donna was written in. Some of the ideas from the original pilot for Heroes that were scrapped made it into the show. The most notable example is the character Ted Sprague, who was based off of an Islamic terrorist featured in the original pilot. The two-part episode "The Menagerie" of Star Trek: The Original Series features extensive footage of the (at that time as-yet) unaired first pilot "The Cage". Apart from Leonard Nimoy as Spock, the cast was completely different, and also the design of the sets and the uniforms differed somewhat. "The Cage"-footage cleverly was used as Flash Back to an earlier point in Spock's career. The ship wrecks featured in the TNG episodes "Best of Both Worlds" and "Unification" have been well documented by fans. It turns out that some of them are actually study models for the Excelsior from Star Trek III. A Star Trek: The Animated Series episode features Robert April, the first captain of the Enterprise. The name was indeed one of the options Gene Roddenberry considered for the TOS captain, before he settled for Pike (and later Kirk). Canonically, he was the captain of the Enterprise before Pike and he is represented in the Star Trek Encyclopedia with an image of Roddenberry himself wearing a uniform. In the Seinfeld episode "The Betrayal", we get a flashback to Jerry and Kramer's first meeting, where the former calls the latter "Kessler" before being corrected. Kessler was the character's original name in the pilot episode. In Criminal Minds, Jason Gideon's name was originally Jason Donovan. This is the name of the author of a book Gideon finds in an UnSub's apartment in one episode. Sometimes a pro wrestler will do subtle references back to previous gimmicks and characters they've had in the past, including all the way back to before they began with a company. For one example, TNA wrestler Gunner wrestles in tights that have a broken glass theme. [dead link] This seems a little out of place, unless you know that he wrestled on the indy circuit for years as Phill Shatter. When Executive Meddling caused the deletion of an Alice in Wonderland sequence in the California Adventure nighttime show World of Color, a brief appearance by the Cheshire Cat and Alice was placed into the finale. This was the original Easter Egg in computer games, as is recounted very neatly in that page. City of Heroes has a few jokes along this line, including the infamous Egg Hunter badge. Jazz Jackrabbit 2 is full of these. Many of the secret areas have signs that have jokes and messages to the development/design team on them, which completely fly over the head of the average player. Knights of the Old Republic: "I'm Atton. I actually wasn't supposed to make it into the final game, but I was created at the last minute. Blame my agent. I was actually slated for a spin-off to Jedi Knight, but I don't want to talk about what happened there." 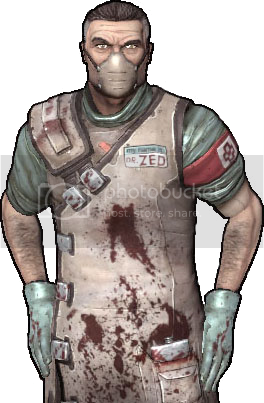 Coach from Left 4 Dead wants armor. This was a reference to Coach's early designs that had him wear football gear as makeshift armor. Hilariously, some mods can dress up Coach in said armor. "This is not Warcraft In Space!" "It's much more sophisticated." "I know it's not 3-D!" World of Warcraft has the Nova Shrine: A memorial to the not-yet-officially-canceled Starcraft: Ghost spinoff game. Mortal Kombat has a few in every game that involves a Konquest mode (more examples to be added upon redoing the story), and all appearances of characters like Rain who owe their existence to jokes between developers are essentially Development Gags. Way back in the early stages of the first Mortal Kombat, Sub-Zero's Code Name was originally "Tundra". Come Mortal Kombat 9, it's revealed that the title of the younger Sub-Zero that took his fallen brother's place starting in MK2 went by the name of Tundra before taking up the mantle of Sub-Zero. And of course, Ermac, after the oft-misunderstood abbreviation that the first game's debug menu used for "Error Macro". And of course Mo Kap, the guy in the motion capture suit that some of the fighters were drawn over, and Meat, the bloody musculature under many of the polygons. In Street Fighter Alpha 3, one of Guile's winquotes is "No handcuffs? Fighting isn't what it used to be!" which is a reference to a glitch Guile had in the original Street Fighter II that "handcuffed" (froze/attached) him to the opponent . This also counts as a Mythology Gag, as the glitch was rather famous and widely known about among fans, and is considered a part of one of the older games despite it's glichy status. In the same game, Cody has several winquotes that refer back to his being a Canon Immigrant from another Capcom series, Final Fight, including saying how good it is to have more than two moves and saying he'll take on "man, beast, or car", a nod to the first FF's infamous bonus stage. In the Rusty Bucket Bay level of Banjo-Kazooie, there is a picture of the original pink-furred brunette version of Berri from the aborted Twelve Tales: Conker 64 (who did appear as a damsel in distress in Conker's Pocket Tales). This Easter Egg only appears in the original N64 version; it's a picture of Conker in the XBLA version. In Banjo-Tooie, Captain Blackeye, a character who was supposed to be the main antagonist in the early development of Banjo-Kazooie appears in a bar, drunkenly ranting about how a bear stole all his glory and how he "Had a dream", a reference to what the game was originally called. Portraits of Blackeye also appeared in Banjo-Kazooie's Mad Monster Mansion. In the library level of Metro 2033 one of your squad mates pulls a book off the shelf and exclaims something along the lines of "Ahh, something familiar; Roadside Picnic." Roadside Picnic is the novel that inspired the STALKER series, which many of the Metro devs also worked on. It doubles as well in that anyone who's played STALKER is likely the find Metro's atmosphere very familiar, though the gameplay of the two games is quite different. When the developers of The Secret of Monkey Island created the sprite for the main character, he wasn't yet named so they saved the file with the name "guy.brush", ".brush" being the file extension for the graphics program and "guy" being, well. They eventually decided they liked the name, and so Guybrush Threepwood was born. The game also references its game engine, Script Creation Utility for Maniac Mansion, with the in-game SCUMM Bar (which after the engine technology changed for the fourth game to Lua, was renamed after a hostile takeover by the game's antagonist to the "Lua Bar"). The entire script of the first game could be considered a development gag; Ron Gilbert's original concept called for a more serious tone, but what with the way production works, Tim Schafer and Dave Grossman found themselves with empty dialog slots in a game that needed testing, so they added their own silly placeholders. Gilbert thought these were so hilarious that he decided to completely overhaul the tone of the game and make it a comedy instead. The main character of the Wing Commander games was referred to behind the scenes as "Bluehair," a reference to the distinctive (apparent) color of his hair. When the series moved to full-motion video, making an official name necessary, he was given the last name "Blair." 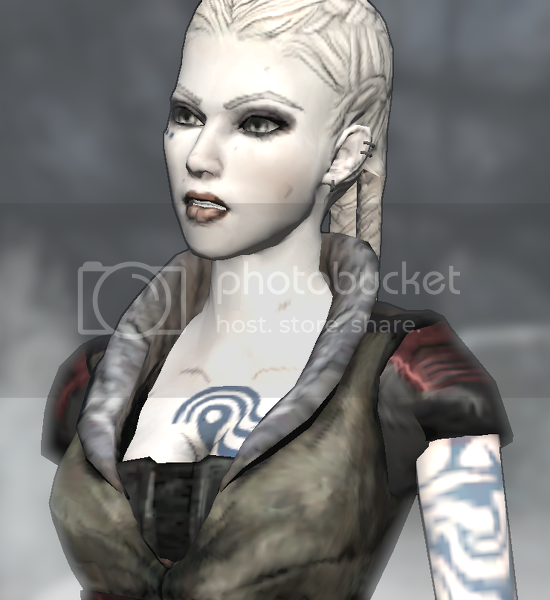 Jade's name in Beyond Good and Evil is a reference to more than just her obvious favorite color; in fact, she had it before she wore green anything (besides lipstick). It's a reference to the JADE Engine, the engine the game (and later, the 3-D Prince of Persia games) was built in. During the ending of Psychonauts, the original playable character of the game can be briefly seen in the background. Likewise, the original playable character for Scribblenauts is available for viewing, if only you ask for it. Lewton in Discworld Noir mentions that he was going to be an assassin, but it didn't work out. The early idea for the game was the further adventures of Teppic from Pyramids, an assassin. The Sonic the Hedgehog developers had created a much simplified early model for Sonic. This was revived and turned into the character Mighty the Armadillo for the arcade game and Knuckles Chaotix. The first game also has glowing letters reading "COPE" in the Spring Yard Zone, which is the acronym for one of the graphics processing routines used by the developers. Before settling on a name for the blue hedgehog, the developers referred to him as "Mr. Needlemouse". The name was brought back for the publicity of Sonic the Hedgehog 4: Episode 1: Prior to the reveal of the game's real name, it was referred to by its code name Project Needlemouse. And the Sega blog, poking fun at the prior games' Loads and Loads of Characters, jokingly suggested that "Sonic's new friend Mr. Needlemouse" might be a playable character in the game. One of the proposed designs for a Sega mascot was apparently supposed to be a caricature of Theodore Roosevelt. Look familiar? In the beta version of Quake, shooting a particular object in Hub Level opened the path to an Easter Egg (the DopeFish) located in the same level selection room. 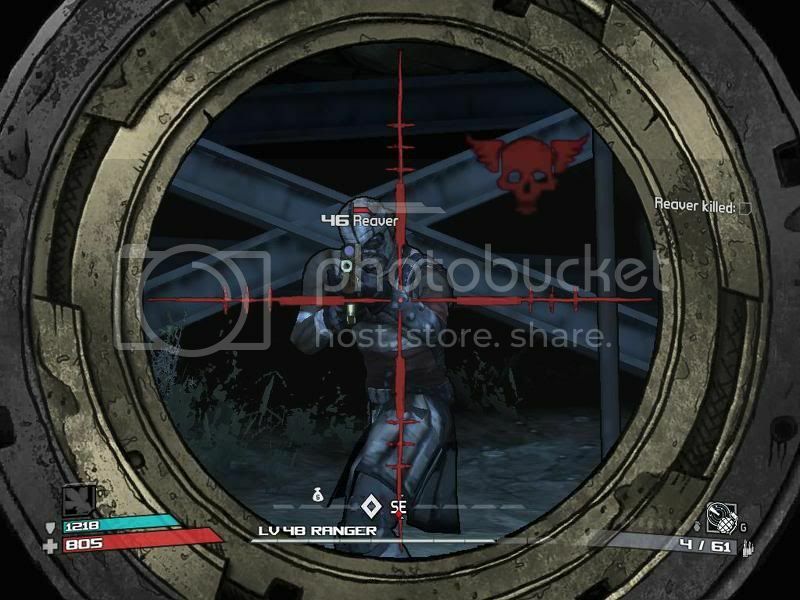 In the released version, the easter egg was moved to an actual level, and shooting the object in the start level displays an optional hint about its location. Ghostbusters: The Video Game mentions that one of the names for Slimer is "Onionhead" in his Tobin's Spirit Guide entry, and he's actually referred to by this name once in dialogue. This was his production name, and it had been dropped from Canon media until now, because it was tied to a similarly dropped character trait of his smelling terrible—it was found to be too hard to convey in film. Acing LittleBigPlanet's final level, The Collector, unlocks a costume based on Yellowhead, the game's protagonist in its beta Craftworld form. 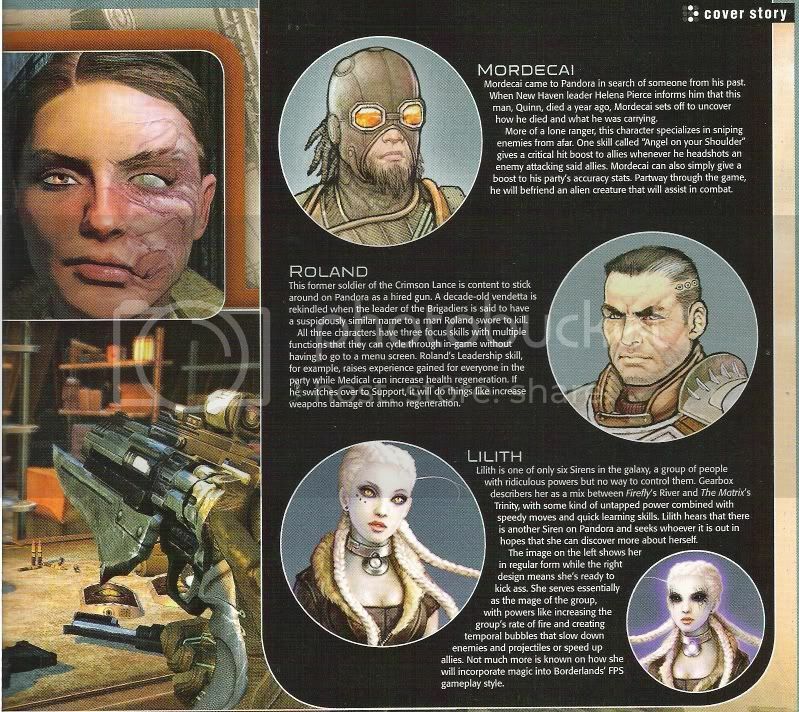 In Borderlands, the concept art for main characters Roland, Mordecai, and Lilith make their way into the game as Dr. Zed, Reaver, and Commandant Steele, respectively. 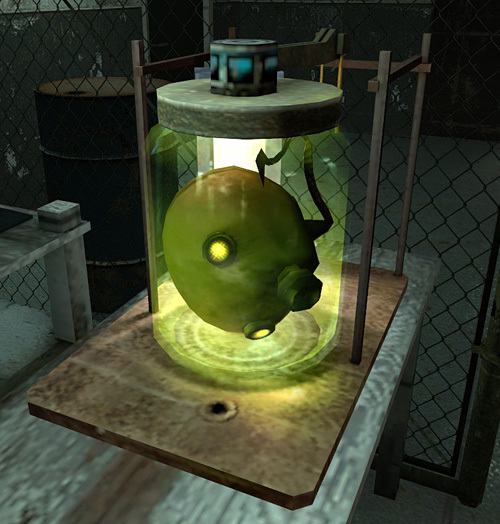 In Half-Life 2, you can see a rather strange object in a jar at Black Mesa East, which Eli states that they "still don't know what it does". It's actually the head of a Cremator, a janitor-like enemy that was cut. In the Beta version of Cave Story, the protagonist had red eyes and a blue outfit. When the finished game was ported to Wiiware, an Easter Egg was added where if you play the game on Halloween, the character's sprite is replaced with a zombified version—with red eyes and a blue outfit. During the Guild Wars War in Kryta arc, Confessor Isaiah, the leader of the White Mantle (named after Isaiah Cartrwight, the former leader of the skill balance team) has a skill called "Isaiah's Balance," which causes the next skill used by its target(s) to cost 25 energy and recharge in 90 seconds, reflecting an infamous skill nerf. Telltale's Back to the Future: The Game includes a development gag relating to the third movie. Marty is told by a descendant of Marshall Strickland (whom he met in 1885) that the Marshall had been shot in the back by Buford Tannen. Marty states that he doesn't remember that occurrence; the scene was filmed for the third movie, but ultimately deleted. The BioShock (series) 2 ARG "Something In The Sea" featured a character that visited Rapture then managed to return to the United States. The man then wrote a story about his experiences and submitted it to a science fiction magazine only for the editor to completely mangle the story into unrecognizability. One of the changes was turning the Little Sisters into chipmunk-like creatures, a reference to early concept art which rendered them as such. Angeal's design is based on an old concept idea for Cloud. While designing Resident Evil 2, Capcom created a big white block as a simple polygon to test the game's hit detection. By the time had come for the game to go gold, the block was further defined into the protagonist of the minigame "The Tofu Survivor". Resident Evil 3, built in the same engine, also has Tofu Dummied Out, while The Darkside Chronicles contains another minigame where the player runs around blasting hulks of tofu as a Shout-Out. In TimeShift, the "Alpha Suit" worn by the main antagonist (established as the prototype of the "Beta Suit" worn by the protagonist) is based on the design of the protagonit's suit in the early steampunk inspired version of the game (which was then massively overhauled). In Dragon Age Origins, talking to Shale reveals she used to be 10 ft tall (like other golems) until her owner took a chisel to her and carved her down to her current size because she couldn't fit through doors. This is the exact same reason why the developers had to shrink down her original model. There are a couple in Pokémon. An old artwork for Poliwhirl/Poliwrath shows it wearing a crown; in Generation II, the crown-like King's Rock gives Poliwhirl access to the alternate evolution Politoed. In addition, Gastrodon's Platinum Pokédex entry mentioning it previously having a rocky, sturdy shell comes from it's beta sprite. Sheik's redesign in Super Smash Bros. Brawl is based on a design made during the development ofThe Legend of Zelda: Twilight Princess, which is why it matches the art style of said game. In Batman: Arkham City, two mooks will discuss a rumor that Harley Quinn used to be a man. Rocksteady motion-captured Quinn with a male actor, and even posted a fake reveal of this to tease fans. Some of the many voiceovers introduced by the Perpetual Training Initiative DLC in Portal 2 are from an Alternate Universe Cave Johnson who got his consciousness transferred to a computer, only to later start musing about the metaphysical implications of this and asking "What if injecting my consciousness into a computer robbed me of an eternal reward?". This is a reference to a very early version of the script. Pom Pom's dog, Trivia Time, and Homeschool Winner were both characters that were created for Homestar Runner but never quite materialized; this didn't keep subtle references to Homeschool Winner from cropping up in a few toons, and Trivia Time is officially Pom Pom's pet cookie jar. The first Order of the Stick published book, Dungeon Crawlin' Fools, has an author's commentary in which it is noted that the party's leader, Roy Greenhilt, was originally supposed to be a Squishy Wizard and occupy The Smart Guy role. The author decided that it wouldn't work out to have him be both that and the Only Sane Man, so Roy became a fighter and the sesquipedalian Vaarsuvius was introduced. This makes the strips in which we learn that Roy's father is bitterly disappointed in him for not becoming a wizard doubly funny. Another commentary reveals that Roy's misadventure with the Belt of Gender Changing was originally going to be him intentionally donning it to secretly engage in "girl talk" with Miko and learn more about her, only to discover later that he couldn't remove the belt. In the comic he only puts it on as an emergency disguise to help save Elan's life. When Haley finds out, she mocks him and one of her jokes is that this was him trying to impress Miko. New Media web shows like Yu-Gi-Oh the Abridged Series often have the characters, who are played by guys who are usually all friends, make jokes about the actors playing them and, occasionally, about events that happened during the making of the show. Most times, these references are either explained or funny enough that it doesn't matter. In Avatar: The Last Airbender, Avatar Roku takes Aang on a spiritual journey, in which Aang learns about Roku's life, and about how strong friendships can transcend spirit and time, but anyone is capable of evil or good. After the revelation, Toph makes a point of asking Aang whether he thinks that friendships can truly transcend lifetimes. It's a thought-provoking philosophical question, but it's mostly also a reference to the fact that some of Toph's development designs (originally a large man) were used to create Roku's Earthbending teacher. Katara and Sokka's mother's name is revealed to be Kya, which was Katara's name in the pilot. Taking it one step further, after the creators found out they couldn't use the name Kya but before they named her Katara, they called her Kanna: currently the name of their grandmother. The poster for "The Ember Island Players" is based on the cover for the Book 1 DVD, and the play itself had another joke about Toph's original design as she is portrayed as a large man. And how the poster (and the Book 1 DVD cover!) put Zuko's scar on the wrong side of his face. The first season finale has the Water Tribe using an ancient and super-pointy Fire Navy uniform for infiltration purposes that is based on the Fire Nation designs from the pilot. Also from the original pilot, Zuko was going to have a pet messenger hawk who would be something of an Evil Counterpart to Momo. Then Sokka got one in season three. In Sequel Series The Legend of Korra, two characters are based on rejected ideas for the original series. Naga was originally going to be a third Team Pet for the Gaang, and Bolin is based on the original idea for Toph's character. Walt Disney had an obscure character named Mortimer Mouse. Disney had first considered calling Mickey "Mortimer". He actually resurfaced in the House of Mouse series as Mickey's romantic rival—and he reminds one quite a bit of a Mickey parody by the same name that appeared in Bloom County. An episode of The Simpsons features Bart and Lisa being beaten to the punch at solving the problem of the week by a brother and sister named Lester and Eliza, who are modeled after Bart and Lisa's far cruder designs in the Tracy Ullman Show shorts. Frisky Dingo: the title itself is one of these, referring to an insult Killface would have taunted the Xtacles with as they were originally called Whiskey Tango Six in early incarnations. One episode of Danny Phantom has the titular character riding a motorcycle, a vehicle Hartman wanted him to ride during early developments of the show (back when Danny was a normal teen hunting ghosts). In Transformers Animated, Rodimus Prime's briefly appearing team of Autobots consist of Animated versions of Transformers characters that the members of the main cast were originally supposed to be based off of (Hot Shot who became Bumblebee, Red Alert who was replaced by Ratchet, and Rodimus himself who was renamed Sentinel Prime at the request of Hasbro). Several of the interns are based on the concept designs for DJ, Cody, Katie, Sadie and Tyler. In Season 4, one member of the second generation cast, B, is also based on DJ's concept design. LeShawna's original design was recycled and used for her cousin, Leshaniqua, who showed up in "One Flu Over The Cuckoos". Codename: Kids Next Door: In Operations "Pool" and "Caramel", we see Numbuh 5 wearing glasses (in the "Pool" case, an alternate universe version thereof), in contrast to her regular apperance. This is a reference to her wearing glasses in the pilot (at one point, the CN website for the show even mentioned that she wears glasses). In Jimmy Two-Shoes, there are several pictures around the Heinous Manor of Lucius in his concept art's outfit as opposed to his ordinary one. In another episode, Jimmy wears a bowtie, which was part of his concept suit. In a flashback on My Little Pony Friendship Is Magic, we get to see Twilight Sparkle's parents. Her mother bears a more than passing resemblance to Lauren Faust's original design for Twilight herself, back when she was meant to be the same character as Twilight (no last name) from the first-gen series. One of the photos of Fluttershy pinned to the wall of Photo Finish's studio in "Green Isn't Your Color" is essentially Lauren Faust's concept art of earlier-generation pony Posey, except with wings and an altered cutie mark. In "Family Appreciation Day" we get a flashback featuring a young Granny Smith, who looks just like an alternate version of Applejack that Lauren Faust drew for the series' pitch bible. In "The Last Roundup", one of the pictures the other characters use while trying to find Applejack is based off a different concept sketch of her. One episode of Futurama shows Leela's maternal grandmother, a mutant with a normal arm and a tentacle - which the developers originally planned to give to Leela's mother. The Powerpuff Girls had one episode where the Professor's dreams he hadn't accidentally added Chemical X when creating the girls, resulting in the "Run of the Mill Girls", who had no superpowers nor the Girls' unusual features. The designs used were heavily based on redesigns—from when the show was still several years away from even starting—that were considered in response to negative reactions from test groups. This page was last edited on 15 September 2018, at 14:12.